SAN DIEGO — The Port of San Diego’s Board of Port Commissioners backed Sunroad Marina’s application for a $17.5 million loan from AmericanWest Bank. Commissioners unanimously approved a resolution supporting the loan application at the board’s July 14 meeting at the Port of San Diego headquarters. Sunroad Marina sought the $17.5 million loan from AmericanWest Bank to help pay for the construction of a restaurant at its Harbor Island location. This is Sunroad Marina’s second attempt to gain financing for Coasterra, a restaurant currently under construction and expected to be completed later this summer. The marina attempted to close on an $11 million construction loan through Bank of America last year, with the Board of Port Commissioners approving the application in August 2014. However, Bank of America and Sunroad Marina failed to close the loan within 90 days of the port’s approval. “The loan did not close due to timing issues and as a result, Sunroad must again obtain the board’s approval,” Port staff said. Marina officials now seek a permanent loan worth an additional $6.5 million to help complete construction of Coasterra. Sunroad Marina must close the AmericanWest Bank loan application by Jan. 13, 2016, or 180 days after the board’s July 14 approval. “Sunroad’s lease with the district covers approximately 145,979 square feet of land area and approximately 104,422 square feet of water area on East Harbor Island. The Island Prime/C-Level restaurant is currently in operation and a second restaurant, Coasterra, is in the final stages of construction and expected to open in the summer of 2015,” port staff stated in a report to commissioners. According to port staff, the loan, if approved, would mature in at least five years but no later than the summer of 2022. The marina would not be allowed to seek rent relief if it is unable to keep up with its loan payments with AmericanWest Bank, according to Sunroad’s agreement with the port district. Port staff confirmed Sunroad Marina does not have any other outstanding debts on its leasehold with the San Diego Unified Port District. The marina leases a portion of Harbor Island from the Port District and is completing its third year under the current contract, which runs from Aug. 1, 2012 to July 31, 2042. The 30-year lease could be extended to 2052 if Sunroad Marina remains a tenant in good standing through the life of the contract. Coasterra is billed as a “Modern Mexican” restaurant. In June, the restaurant’s management group announced a job fair to hire attendants, cooks, porters and support staff. Island Prime/C-Level, the other restaurant at Sunroad Marina, is adjacent to Coasterra and offers an extensive seafood menu. Both restaurants are owned by Cohn Restaurant Group. 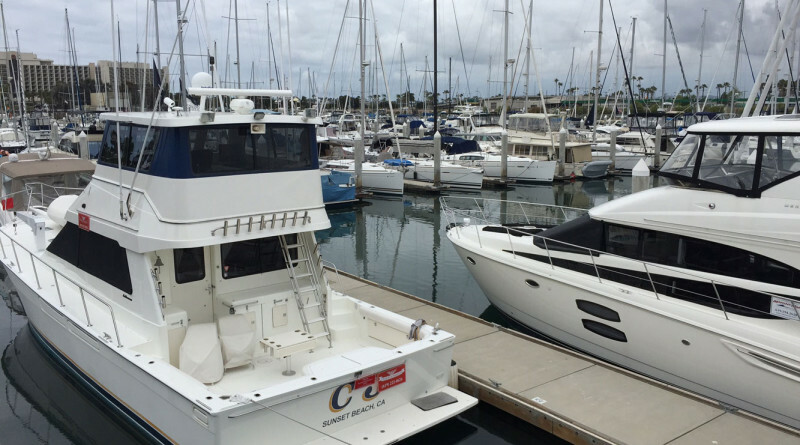 Sunroad Marina is located at 880 Harbor Island Drive in San Diego and home to more than 600 boat slips. Marina officials must also seek support from the State Lands Commission; a portion of Sunroad Marina is under State Lands jurisdiction.